Industrial Metal Legends DOPE and Combichrist are pairing up for the Black Craft Whiskey sponsored Blood, Lust, Death 2017 Tour. The bill will be rounded out with support from September Mourning and Davey Suicide. Launching Feb 27th in Portland OR, the tour winds through the Midwest, East Coast, and South before wrapping up in LA on April 9. “We are very excited to get back out on the road ” says Edsel Dope. “This will be our first time touring with Combichrist & we both have some really cool surprises planned for the tour… If you are a fan of Industrial Metal, this is one show that you don’t want to miss”. “In addition to playing the Dope classics, this will be the first opportunity for fans to catch us performing some of the songs off of our new album Blood Money ” Says Edsel. 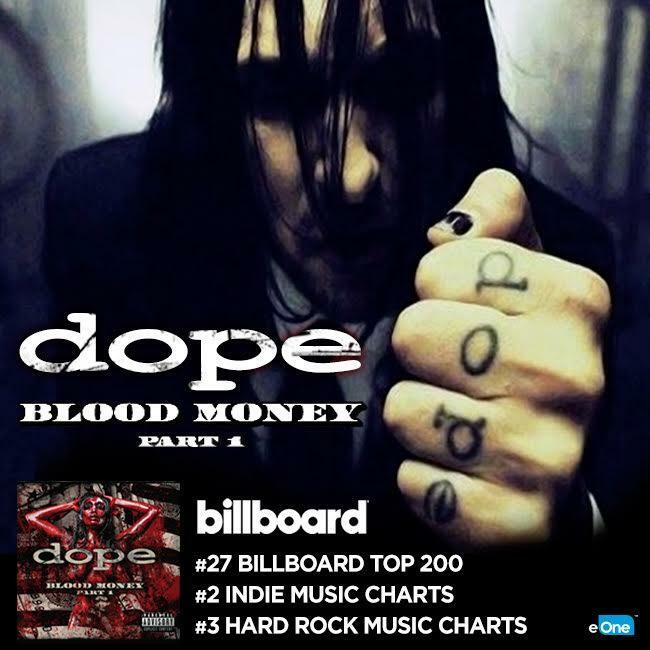 Dope’s latest album, Blood Money, sold 15 thousand units in its first week, debuting on the Billboard Top 100 album chart at number 27.